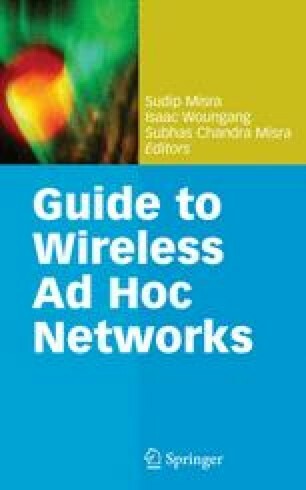 In recent years, mobile ad hoc networks (MANETs) have become a very popular research topic. By providing communications in the absence of a fixed infrastructure, MANETs are an attractive technology for many applications such as rescue operations, tactical operations, environmental monitoring, conferences, and the like. However, this flexibility introduces new security risks. Since prevention techniques are never enough, intrusion detection systems (IDSs), which monitor system activities and detect intrusions, are generally used to complement other security mechanisms. Intrusion detection for MANETs is a complex and difficult task mainly due to the dynamic nature of MANETs, their highly constrained nodes, and the lack of central monitoring points. Conventional IDSs are not easily applied to them. New approaches need to be developed or else existing approaches need to be adapted for MANETs. This chapter outlines the issues of intrusion detection for MANETs and reviews the main solutions proposed in the literature.